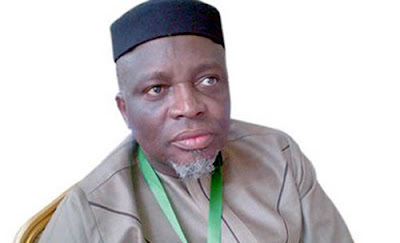 The Registrar of JAMB, Prof. Isha’aq Oloyede, has said that the bill seeking to validate the Unified Tertiary Matriculation Examination for three years will do more harm than good. Oloyede said this when he received a delegation of the Senate Committee on Education in his office in Bwari, FCT, on Wednesday. He said that he appreciates the good intentions behind the proposal but said the approach may not solve the problem it seeks to address. He said, “They (Senators) must have considered many things before arriving at the decision. “My appeal to the House of Representatives and the President is that it will do more harm to students than good. “When there is a problem, rather than study it and look for strategy to solve them, we will jump into conclusion which can be more dangerous than the original problem. “When you look at the issue of three years’ validity, somebody mentioned that is what is done in Britain and the United States of America. But there is a basic difference. “If you go in that direction, there will be change of infrastructure. However, the leader of the visiting delegation, Sen. Ajayi Boroffice (APC-Ondo), said the policy would benefit Nigerians if adopted eventually. Boroffice representing Ondo North Senatorial District, said that the bill had passed the second reading and would soon undergo a public hearing. He said that the bill, when passed, would also help to improve the educational standard in higher institutions in the country. He said, “Bills are passed in stages and one of the most important stages is the public hearing. “When public hearing is held, JAMB, schools and the public will be invited to make inputs. “Once that is done, we will collate it and send to Senate for third reading. “We saw that JAMB result is only valid for one year and we believe it will be better for it to last for three years. “It will reduce burden on parents, students and even on the institution that is conducting aptitude test; I think it is what is good for all of us. “We do not make laws for an individual but for the country and in the interest of all of us, the bill must not necessarily be at the convenience of the organisation. He, however, commended the board on the remarkable progress made in the past and urged the management to continue to improve on their performance. He said that the committee would pay regular visit to the JAMB office in a bid to ensure proper delivery of its oversight function in the organisation.